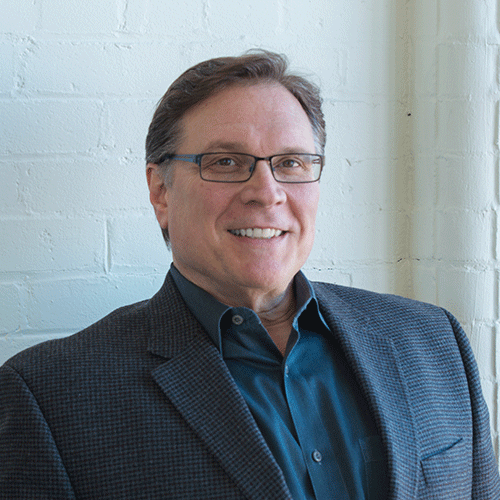 A co-founder of DaVinci Direct, Steve Maggio is an industry leader who has provided marketing strategy, creative direction, copy and design for more than 300 not-for-profit and commercial organizations in his 30-year career. Steve began his career in general advertising, where he built a foundation of knowledge in branding and print, TV and radio advertising in the high technology, financial and retail sectors. He switched to a direct response career with Hub Mail Advertising in Boston, working on Easter Seals, Humane Societies, United States Olympic Committee, Public Television plus financial and high technology accounts. Steve then received what he likes to call his “Direct Response Doctorate” during his 11-year tenure at Epsilon, serving as Senior Creative Director on accounts such as the American Diabetes Association, American Cancer Society, Disabled American Veterans, Paralyzed Veterans of America, National Jewish Medical and Research Center, UNICEF, American Red Cross, Save the Children, Mercy Home for Boys and Girls, and several Catholic Dioceses and Archdioceses. He also worked on large commercial clients such as American Express, and directed branding and promotion of several of Epsilon’s services and software products. After Epsilon, Steve was a Senior Partner and Sr. Vice President/Creative Director with Newport Creative Communications where, for five years, he continued to specialize in Health, Veterans, International Relief and Catholic Charities. In addition, he helped Memorial Sloan-Kettering Cancer Center create, brand and build a special event fundraising program based on the New York City Marathon. Steve helped Sloan-Kettering’s “Fred’s Team” experience 13 years of growth through an integrated multi-media campaign of print, direct mail, posters and Web-based fundraising. In 2006, Steve was recruited into the DMA Non-Profit Federation’s Advisory Council and, for six years, was involved in that capacity in key issues and decisions affecting the industry. Steve is a regular speaker at nonprofit conferences and contributing writer to industry publications and websites. Steve has served on the DMA Nonprofit Federation’s Conference Marketing Committee and has been a Conference Co-Chair and Planning Committee member for several DMA Nonprofit Federation Conferences, and has served on the Marketing Committee for The Bridge Conference for Integrated Marketing and Fundraising. He has presented sessions on fundraising strategy and creative at several industry conferences in the recent past, including The Bridge Conference for Integrated Marketing and Fundraising, DMA Nonprofit Federation Conferences in New York and Washington, AFP’s Fundraising Day in New York, AFP Massachusetts Chapter Conference in Boston, the Direct Marketing Fundraiser’s Association in Boston, and the New England Association for Healthcare Philanthropy. Last year, Steve presented “Building an Integrated Fundraising Program – From the Ground Up” at The New England Association for Healthcare Philanthropy Conference, and “Love Stories: Writing (and evaluating) Effective Fundraising Copy” – at the Bridge Conference. He presented the highly-rated “60 Ideas in 60 Minutes” at the 2019 ANA Washington Nonprofit Federation Conference in February and will repeat this popular session at the Bridge Conference on July 12, 2019. Steve’s teams have won more than 250 awards for creative excellence, including DMA Echo, DMAW Maxi, DMFA Package of the Year, NonProfit Pro Gold Awards and NEDMA Awards for Creative Excellence, including multiple “Best of Show” awards.